John McCrae, McGill lecturer and author of the iconic poem "In Flanders Fields," is to be posthumously inducted into the Canadian Medical Hall of Fame (CMHF), as announced on Oct. 7. John McCrae penned In Flanders Field on May 3, 1915, after presiding over the funeral of friend and fellow soldier Alexis Helmer, who died in the Second Battle of Ypres. 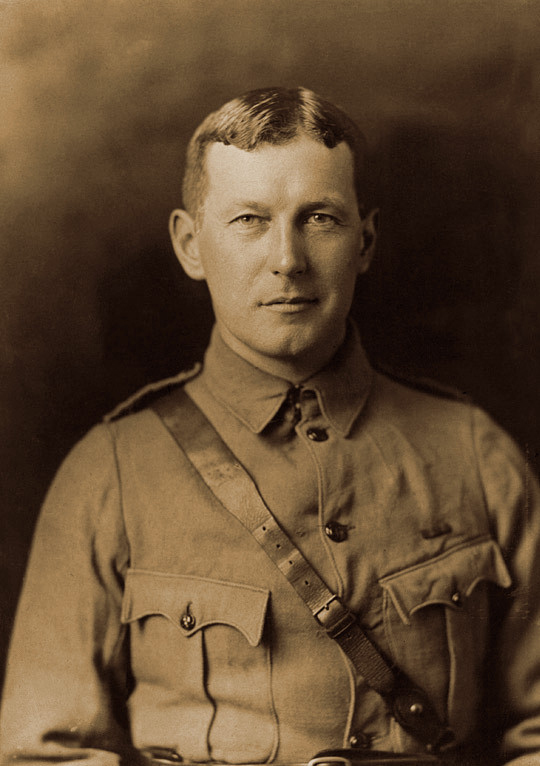 John McCrae, McGill lecturer and author of the iconic poem “In Flanders Fields,” is to be posthumously inducted into the Canadian Medical Hall of Fame (CMHF), as announced on Oct. 7. McCrae is one of six “medical heroes” to be inducted into the CMHF, a national charitable organization that fosters future generations of health professionals through the celebration of our country’s rich medical history, scholarship program and the delivery of both local and nationwide education programs for youth. The other inductees include Dr. Alan Bernstein, Dr. Judith G. Hall, Dr. Bernard Langer, Dr. Julio Montaner and Dr. Duncan G. Sinclair. The induction ceremony will be held on April 23, 2015 at The Metropolitan Entertainment Centre in Winnipeg, Manitoba. “This year’s inductees represent Canada’s most accomplished medical innovators whose contributions on the national and international stages have been transformative to patient care, health systems, education and research. We are delighted to welcome to Winnipeg the newest inductees and supporters of The Canadian Medical Hall of Fame from across Canada,” said Dr. Brian Post, Dean, Faculty of Health Sciences, University of Manitoba and co-chair with 2013 CMHF Laureate Dr. Arnold Naimark of the 2015 induction ceremony. Following a stint in the South African (Boer) war, McCrae returned to Montreal as resident pathologist at the Montreal General Hospital, at which he performed over 400 autopsies. He was subsequently appointed Associate in Medicine at the Royal Victoria Hospital and Pathologist at the Montreal Foundling and Baby Hospital. In addition to lecturing in pathology at McGill and the school of Medicine of the University of Vermont, he wrote many articles for the Montreal Medical Journal and the American Journal of Medical Science. The First World War saw his return to military service where, as a medical officer, he faced casualties on a scale that is unimaginable today. Following the battlefield burial of a friend and fellow soldier from Montreal on May 2, 1915, he wrote In Flanders Fields, which gained international recognition and led to the use of the poppy as the symbol of remembrance. Before his tragic death of pneumonia in January 1918, LCol McCrae served for three years as the chief medical officer of the No. 3 Canadian General Hospital (McGill) and was the first Canadian appointed consultant physician to the British Army. For more on John McCrae, go here.